Hunt's Pharmacy is your go to place for professional health and pharmaceutical services. At Hunt's Pharmacy, you are not a number, you're our neighbour! Our friendly staff is always ready to help you, whether you need advice on your medication or are looking for a specific health product. New in the Amherstview area? Come in and meet us! We are your local I.D.A.Pharmacy! Our trained personnel can help you understand the medication you've been prescribed and give you advice on when it's best to take it.  Learn more about our StripMed System. Discover the new diem® premium care app. 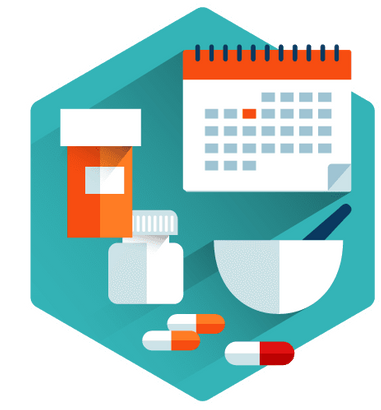 It allows you to manage your prescription online and to keep track of your pharmacy’s promotions. Discover all our services, for day to day care. Hunt's Pharmacy is proud to be part of your community. We offer a wide range of commercial pharmaceutical services.